Mortan I. Abramowitz, Eric S. Edelman, “U.S.-Turkish Cooperation toward a Post-Assad Syria”, Bipartisan Policy Center, April 2013, p 9. Mortan, U.S.-Turkish Cooperation Toward a Post-Assad Syria, p 5. ISNAD Peerzada, Tufail Ahmad . "U.S.-Turkey Relationship and Syrian Crisis". 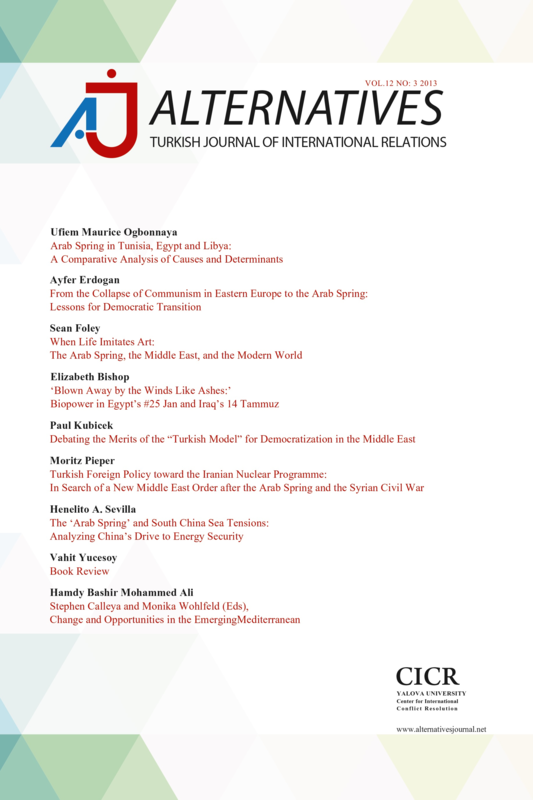 Alternatives: Turkish Journal of International Relations 14 / 4 (April 2016): 11-19.